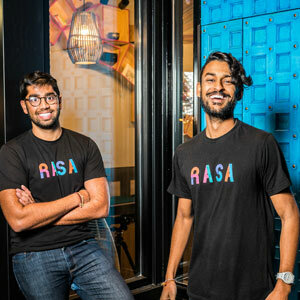 Sahil Rahman and Rahul Vinod, inspired by the Chipotle formula, decided to open RASA Grill in Washington, D.C. Judging by its early reception, the time seems ripe for the spread of Indian cuisine in the fast casual restaurant environment around the country. Vinod shares his thoughts on why—and how—the enterprising duo took on the challenge. (Right) Rahul Vinod (L) and Sahil Rahman. What did you do in your day jobs before you started this concept? While RASA has been on our minds as an idea we first had back in high school, we did have other corporate careers before jumping in. Sahil and I both attended the Robert H. Smith School of Business at the University of Maryland, College Park, for our undergraduate degrees. Sahil started his career at Deloitte working as a corporate strategy consultant. After Deloitte, he briefly worked in the education space at a global education startup. 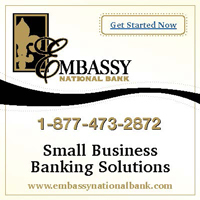 I pursued a career in investment banking working in debt capital markets at BNP Paribas in New York City. Are there any foodies in the family? How did that influence you? Our fathers are business partners and restaurateurs. They started their first restaurant together 26 years ago in Rockville, MD, called Bombay Bistro. We are both 27 years old, so we quite literally grew up in the restaurant business, surrounded by food. Around the time we were in high school was also when other fast casual chains such as Chipotle really started to take off and make other cuisines more accessible. At that time, we initially had the idea for RASA and felt it could work in the same way, and help make Indian food more accessible in this format (Sahil actually won a business plan competition for this idea in high school). 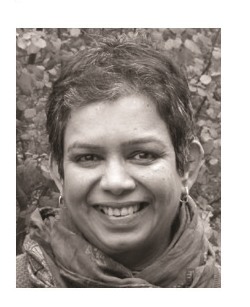 We feel that the time is right for Indian food to be presented in a more accessible format. Indian culture and food are more popular than ever before in the U.S., yet the food still remains mostly inaccessible. By inaccessible, we mean that it is often hard to find, expensive, a sit-down restaurant experience, etc. How integral was food to your childhood? As American kids, what was your comfort food growing up? Food was very integral to our childhood and growing up. Our childhood was centered around restaurants and food. Despite being American kids, we both ate Indian food for most meals—homemade staples such as rajma chawal and aloo parathas with pickle were our comfort foods. Which region of India does your cuisine focus on? Why did you decide on that choice? Our cuisine tries to focus on the country as a whole, thus our menu isn’t specific to a certain region. We have items from both the North and the South, and really we are sharing food that is Indian food to us. Part of our story is that we are also American, we were born and grew up here. On the menu is food that we grew up with, food that our fathers and grandparents cooked for us, and food that we love. How have you made your approach to Indian food more modern? We have tried to take Indian flavors and spices and apply them to things that are true to us— vegetarian sides like Brussels sprouts or tofu are not necessarily staple Indian foods, but we’ve added authentic Indian spices and marinades to these items to make them our own. We use modern cooking techniques like sous vide to slow-cook some of our meat dishes; we use a modern Marra Forni pizza oven instead of a more traditional tandoor to cook our naan and sear some of our vegetables and meats. Our presentation of the food in a build-your-own format allows the guest to understand and visually see all the different items that make up their meal. Do you feel like you have to be ambassadors for Indian food or do your customers already know a fair amount about your offerings? I would say that for the most part we are ambassadors for Indian food. People are definitely much more educated about Indian food. At the same time, our goal with this restaurant is to introduce it to more people, so we are constantly educating guests about the spices, cooking techniques, ingredients we are using, and the story behind them. What are your favorite Indian foods? Rahman: Some of his childhood favorites are dal chawal with mango pickle, golgappas, aloo puri, fish curry, and aloo parathas. Vinod: Dosa. I think I could eat 20 dosas in one sitting with some good sambar and coconut chutney!